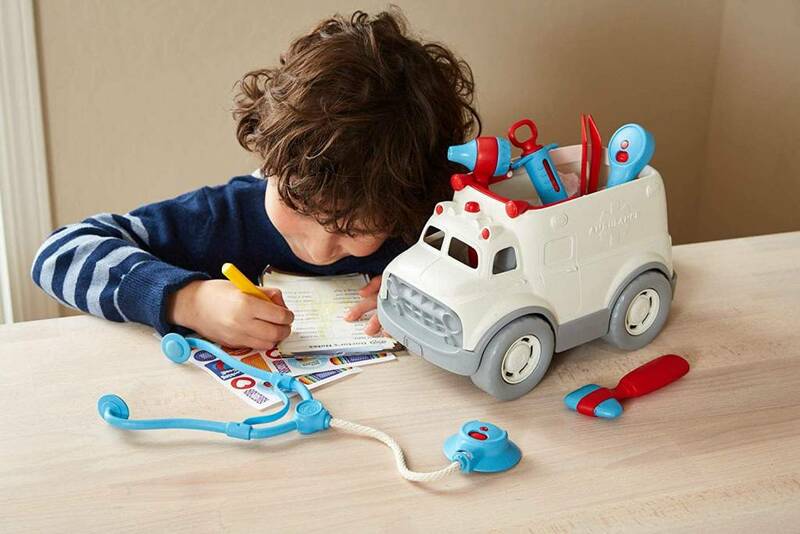 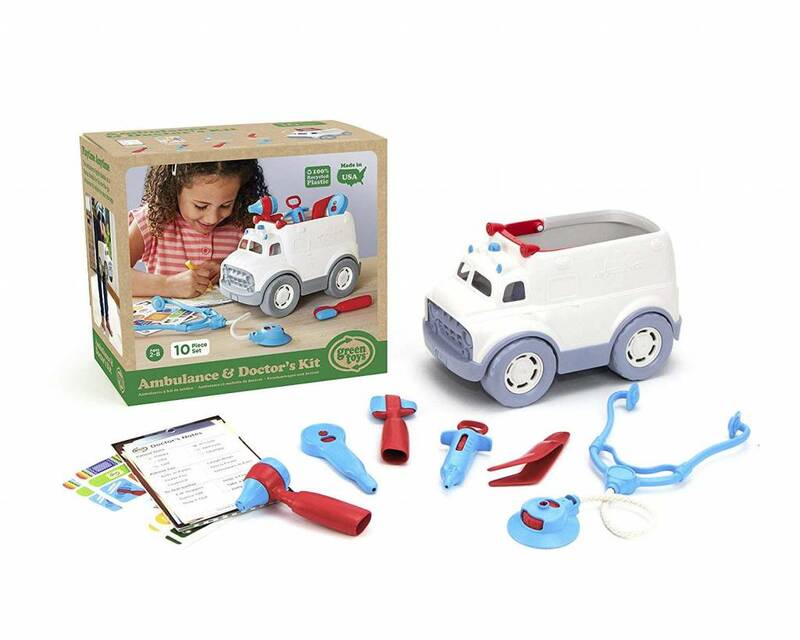 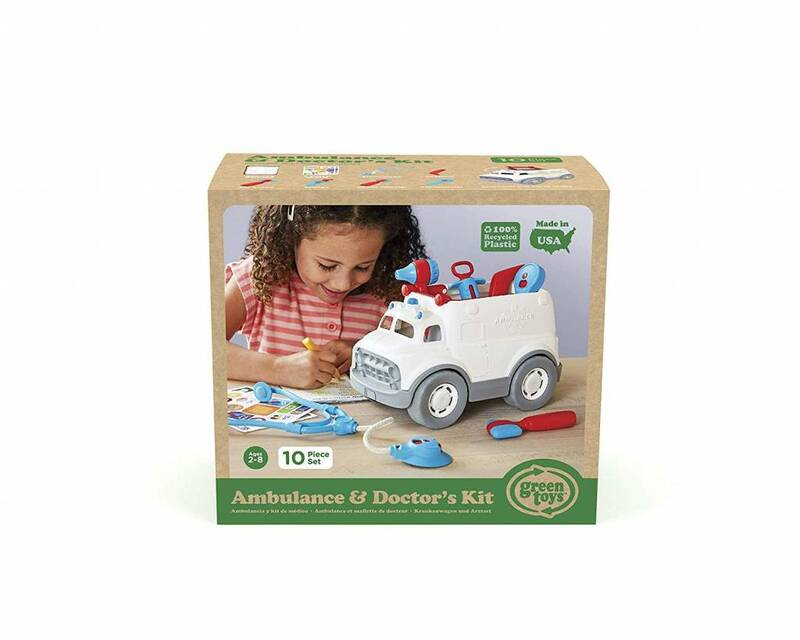 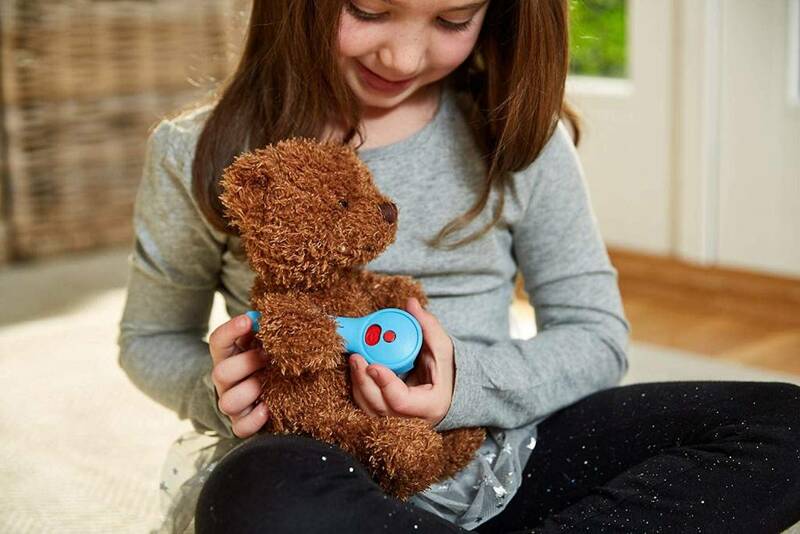 This 10-piece set encourages motor skill development, imaginative play, and pro-social behavior, while also helping to ease anxiety about doctor visits by making the components of a check-up familiar and fun. 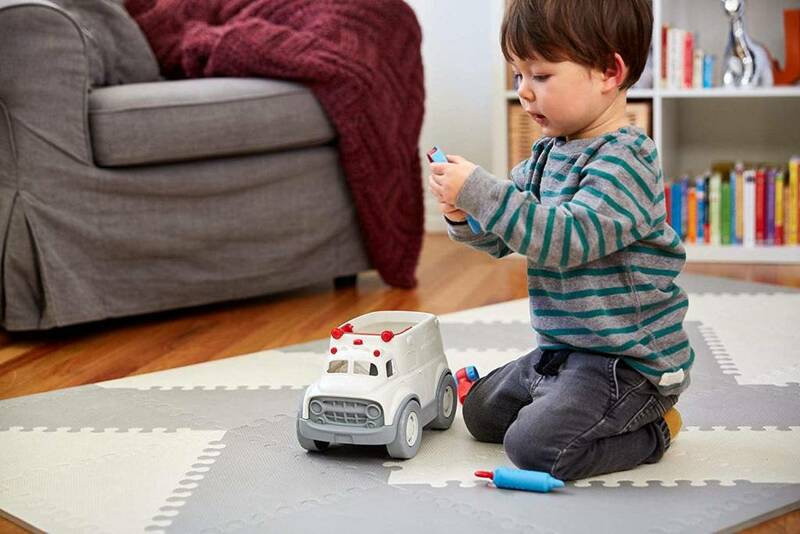 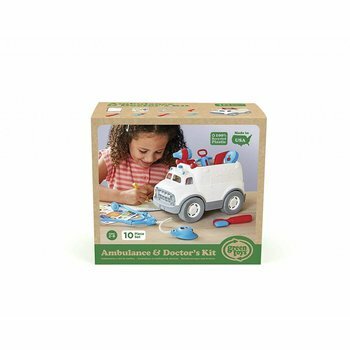 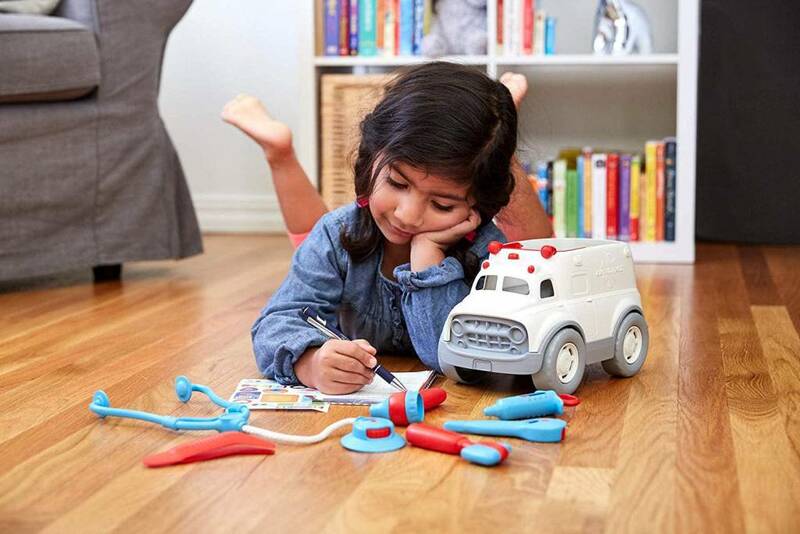 The ambulance has the features, size, and durability of a classic Green Toys truck, as well as lights that flip-up into a handle to create a unique carrying case. 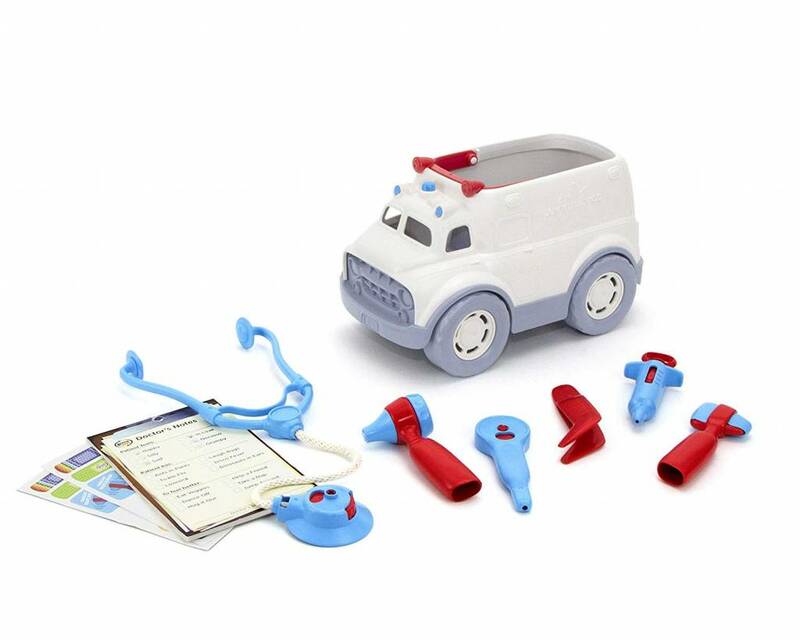 All the pieces included in the set – a stethoscope, reflex hammer, syringe, forceps, thermometer, and otoscope, as well as a doctor’s notepad and two sheets of assorted stickers – can be stored in the back of the ambulance for quick, eco-friendly transport to the next emergency.